Its that time of year. Mattress manufactures are bringing in the NEW models and fazing out of the old ones. 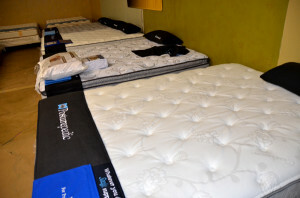 Which means BIG saving on many of our mattresses we have in stock !!! Stop in to our store at 1701 N Dirksen Parkway and check out some of the deals listed below. PLUS MANY MORE !!! first come first served on closeout models !! !